The evening will be filled with a red carpet, photos, lights, music, dancing, food and fun for all involved. 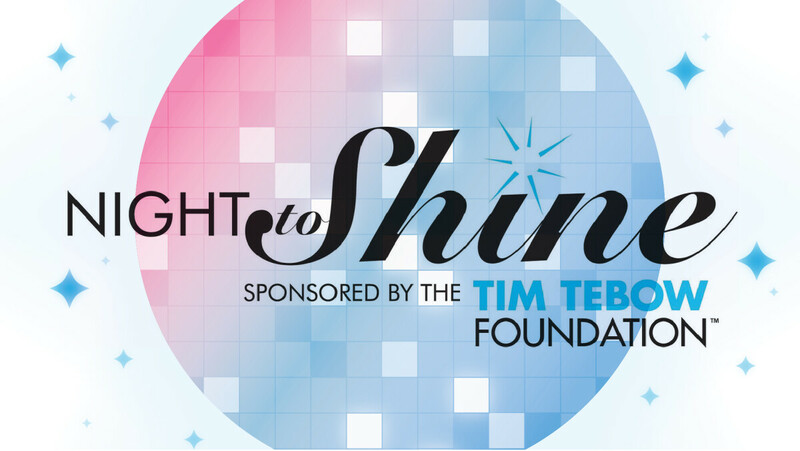 Night to Shine celebrates the uniqueness of each individual guest by providing an unforgettable night where they are welcomed, valued and loved. Online guest registration is now closed. We will be accepting walk up registrations on February 8th. We hope to see you there! We need several loving volunteers to help be buddies, run stations, do makeovers, and so much more to make this night a success! If you are able to serve at this event, and are 16 or older, register as a volunteer below! Thank you for your interest in serving at Night to Shine. Our volunteer registration for 2019 is now closed. Please check back next year to volunteer for Night to Shine 2020. Please plan on attending one of these volunteer training meetings so that you are able to serve at the event. Thank you for participating in our 2019 Night to Shine! If you would like to financially support this event, please check out our Amazon Wish List, or you can make a financial donation HERE. Questions about the event? Contact Missy Farrington, Director of the Special Needs Ministry at .